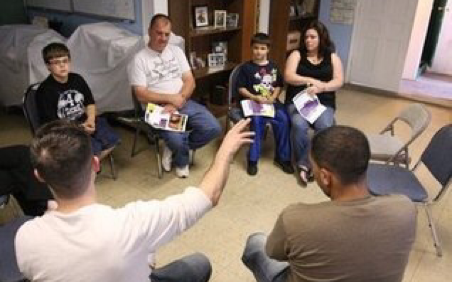 Every month, we hold a support group meeting that is attended by parents and children alike. The purpose of the support group is to have children/teens understand that bullying is just a phase and that the best has yet to come. We encourage them to get involved in their communities by joining local sports leagues, taking up martial arts and self-defense classes, expanding their social networks, and partaking a hobby or engaging in a activity that stimulates their interest. It is a confidential, positive atmosphere where cohesion is cultivated. The walk is an annual event designed to help spread awareness to the issue while fostering an environment of cohesion amongst parents and children in working together to contain bullying and eliminate the adverse effects of it. 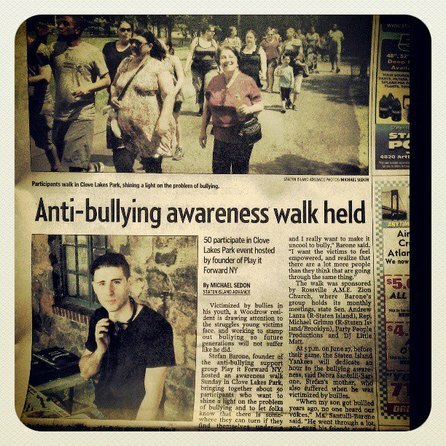 The first walk was held in June of 2013 at Clove Lakes Park, attracting over 50 attendees. State Senator Andrew Lanza donated bottles of water and the Staten Island Advance and NY1 covered the event.